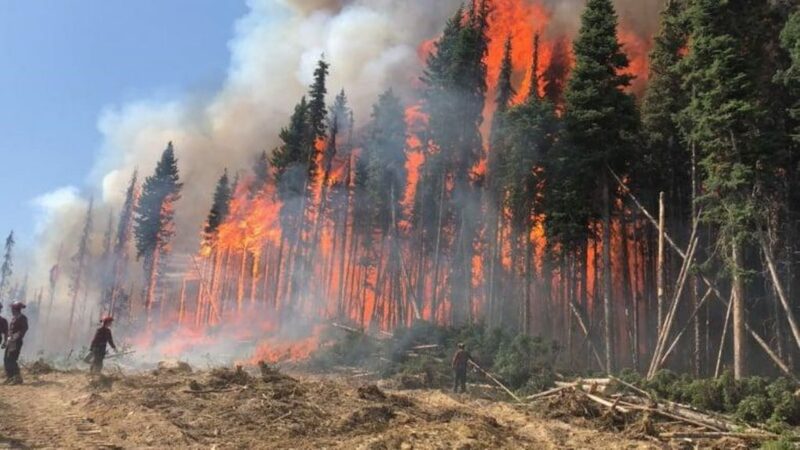 On the heels of two record-breaking wildfire seasons in BC, the provincial government will be preparing for the 2019 wildfire season by increasing funding for prevention programs, fire response personnel and equipment, and reforestation and restoration initiatives. The 58 percent increase will bring annual wildfire management funding up to $101 million. The 2018 BC wildfire season resulted in 1,351,314 hectares burned by a total of 2,092 wildfires as of November 9 last year, making it the most destructive wildfire season for the province on record. The previous record was held by the 2017 wildfire season with 1,216,053 hectares burned. Orange skies and air quality advisories are becoming a summer staple for BC residents, and scientists have predicted that this is a new normal for the province. The provincial government has faced criticisms in the past for failing to take appropriate preventative measures for mitigating the risks of long, dry summer seasons in BC, especially by failing to communicate with First Nations communities. It certainly seems as though the government is taking such recommendations seriously. A Community Resiliency Investment program was established in September 2018 to help fund local government and First Nations initiatives for preventative measures in lowering wildfire risks in their communities. The program was initially granted $50 million in provincial government funding, which has been raised to $60 million this year. “The changes support the recommendations of the independent Abbott-Chapman report,” stated the press release, referencing Chapman’s 2017 wildfire season review. Additional funding has also been granted to the BC Wildfire Service to help support larger crews and more advanced firefighting technology (including night vision goggles). The money will also be put toward preventative measures such as controlled burning programs. Finally, the province has provided $235 million to the Forest Enhancement Society of BC to help fund restoration and reforestation efforts.